It has been 5475 days roughly 15 years since I have eaten at Carrabba’s. My local in Jacksonville was one of my favorite chain Italian in town, and believe me when I tell you we had them all. Jacksonville loves their chain restaurants. They have since closed, and I had no desire to drive the distance to the next closest one. 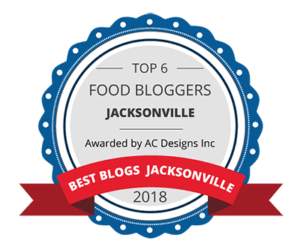 Now on an extended stay in the Oviedo/Winter Springs area, my food guide and I decided to check out the local in the area. 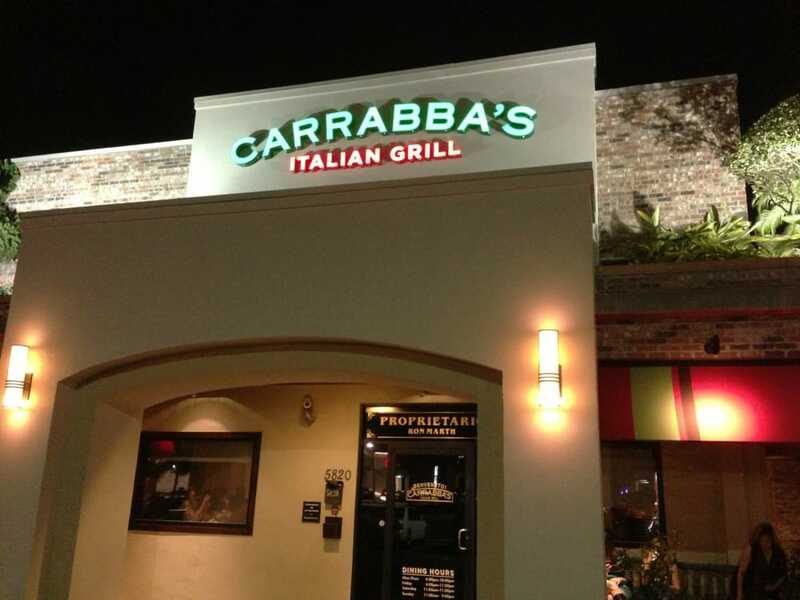 This particular Carrabba’s like every other in the country greeted us with open arms. 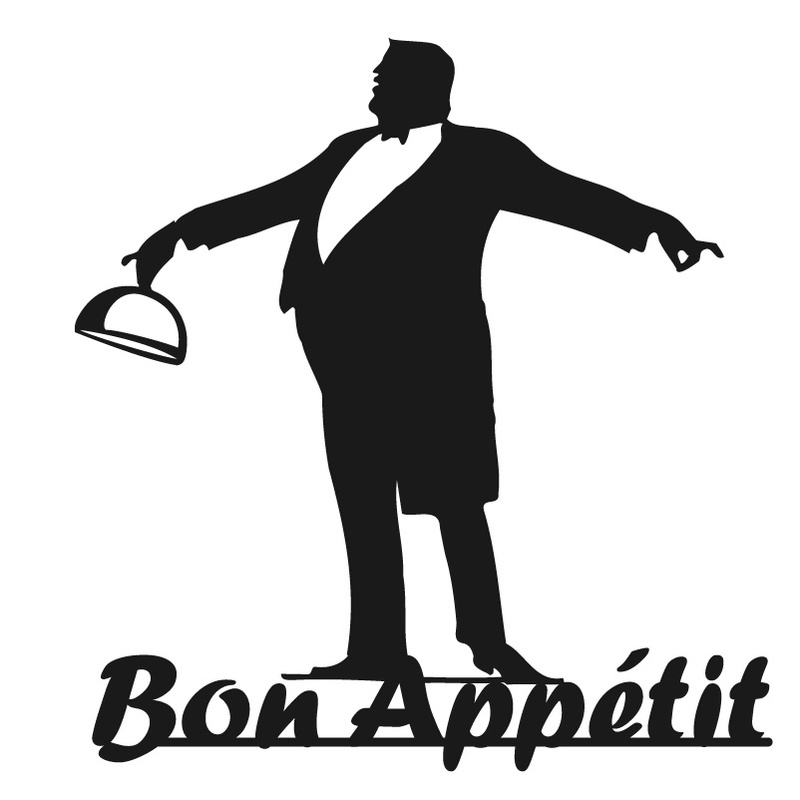 We were quickly seated, and our server appeared almost immediately. Friendly, enthusiastic we thought he was off to a good start, sadly it was the last quick thing he did for the remainder of the meal. 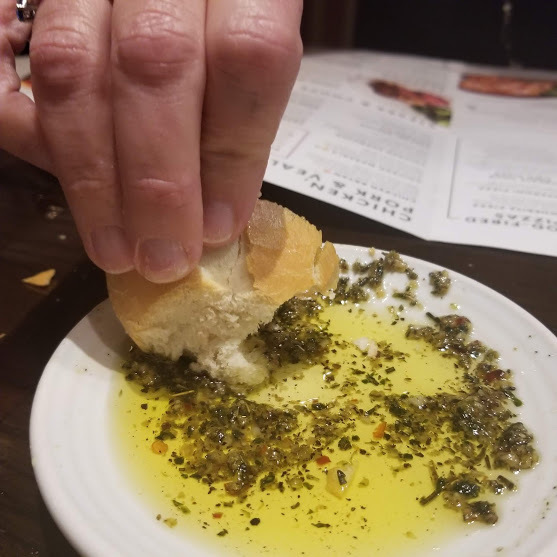 After what was a very in-depth accounting of the night’s specials he left us to bring us a basket of the marvelous bread and dipping oil everyone who dines at Carrabba’s loves. 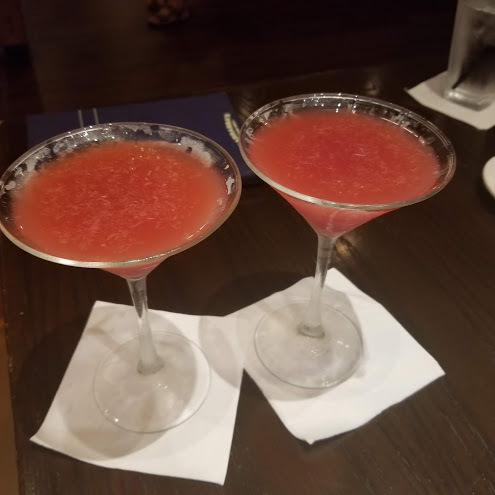 Next, up the recommended Pomegranate Martini’s while, we perused the menu choices. When the drinks arrived about 15 minutes later, the bread was gone, and we wanted to eat. We started with 2 appetizer choices and one salad. 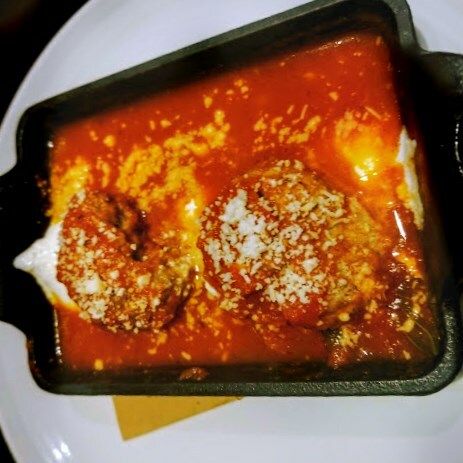 Meatballs with Ricotta Simmered in Pomodoro sauce with ricotta and romano cheese a perfect blend and went well with our second basket of bread. The Pomodoro sauce was the ideal choice for the meatballs that were moist and flavorful, we found these much to our liking. 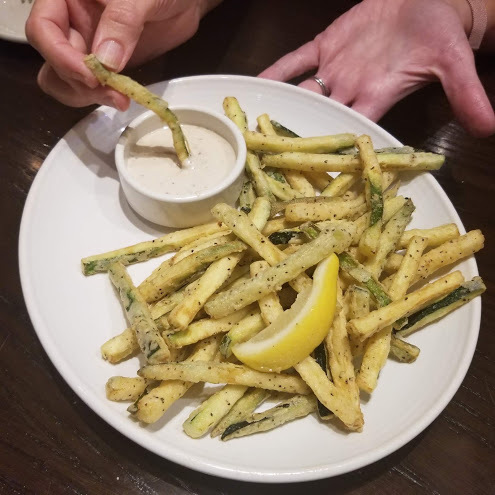 The second app hand battered Zucchini Fritte lightly fried and served with garlic aioli. I have had similarly named Dragon Whiskers, these were especially appealing. The batter was light and trapped no oil plus the vegetable was not overcooked and presented a nice pop when bitten. 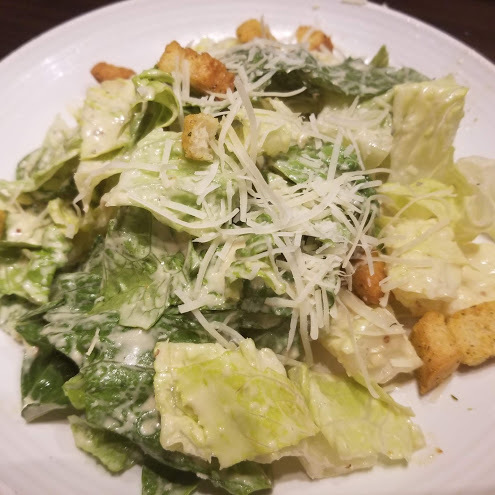 Out salad, a wonderfully crafted Caesar made with the freshest Romaine hearts, parmesan cheese, Caesar dressing plus crispy croutons. Most appealing to me, this salad felt and tasted like it was made when we ordered it, not earlier in the day. Our entrees one hit one miss, but such is life. 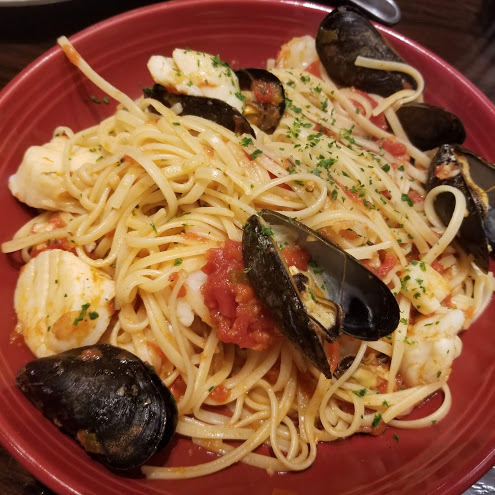 The miss, Linguini Pescatore a combination of shrimp, sea scallops, mussels, and spicy marinara sauce. The pasta was perfect al dente, scallops plump cooked just enough, shrimp a little on the rubbery side the mussels were a total disappointment; the portion served was almost an afterthought added to the plate. The mussels were small plus many of the shells were empty, but I found no matching body in the pasta. Hands down, best dish of the night Angel Hair with wood-fired Shrimp. 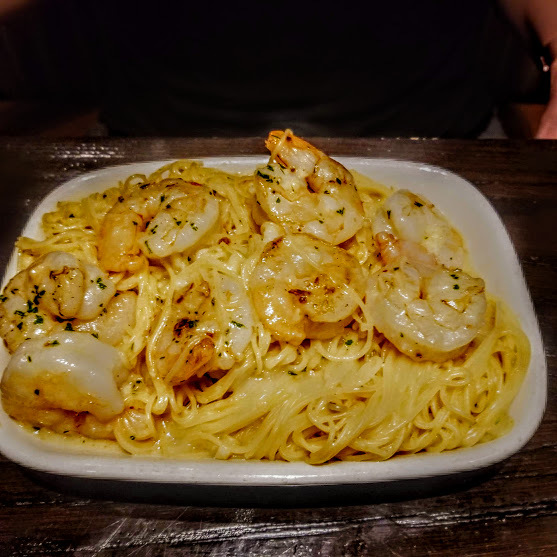 Tossed in a Vodka Sauce perfectly grilled shrimp mixed with the al dente pasta was a total delight. We gave this a two thumbs up and highly recommend it. I will be in the area at least until January and plan to attend one of the famous wine pairing dinners later this month. If you have never been to Carrabba’s or have not been in a while, let me encourage you to give it a test run. Indeed the food is well worth the price. I find it one of the better chain Italian restaurants around.